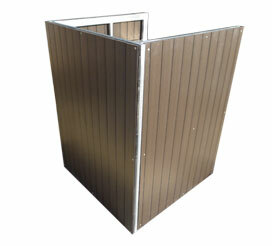 Don’t want to fence off your above ground swim spa? 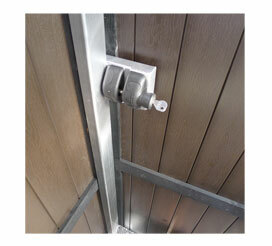 Spa-Rite has recently developed a set of pool complaint steps. 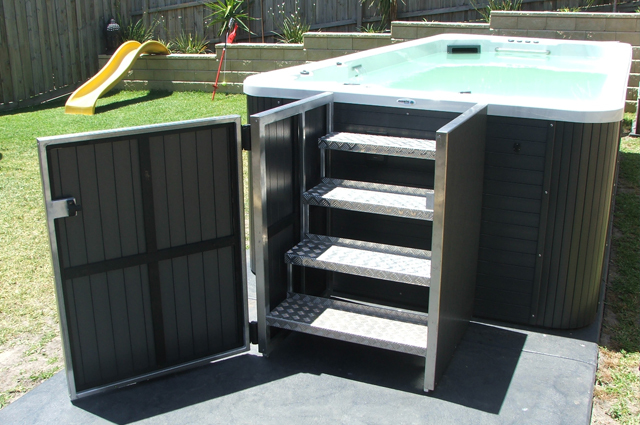 Our Pool Compliant Steps are completely maintenance free and fenced off meaning you don’t need a safety barrier going around your spa, providing the rest of your spa has no foot holds around your spa at 1200mm high. 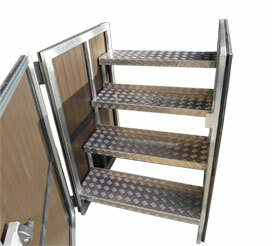 Even better our Pool Compliant steps are made out of Thermo-wood meaning they will match the colour of your spa cabinet.